"BONK! is a duet that features an ever developing groove built up between the 2 performers. It’s staggered opening evolves into a driving and pulsating mix of rich bass and floating lyrical sounds that highlight the range of the instrument it was intended for. 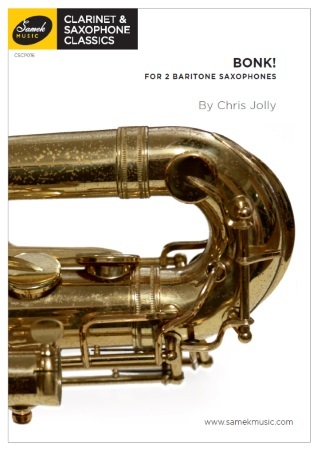 The piece can be performed as a duet of equal instruments or if performed on bass clarinet a recording of part 1 is available to play along with. This is a great opportunity to experiment with different ways of presenting this piece within a recital.